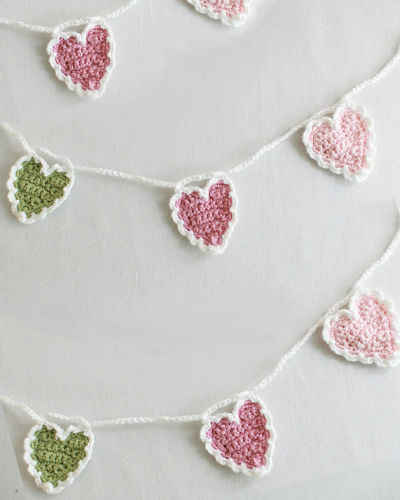 Designer Deborah Claypoole wrote: “I have been crocheting for 44 years. My Aunt Helen taught me when I was 7 years old. When I would go visit her, I was amazed with what she was doing. When she asked me if I wanted to learn, I couldn’t say YES fast enough. I’ve been enjoying crocheting ever since. I find it very relaxing. 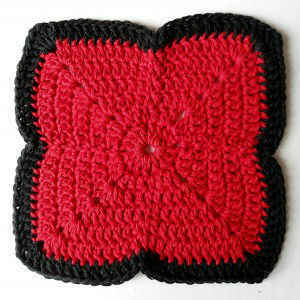 My favorite items to crochet are: dishcloths, scarves, afghans, holiday decorations and ornaments, to name a few. And what better way to enjoy your favorite hobby than to enter this contest. Thank you Maggie’s Crochet! 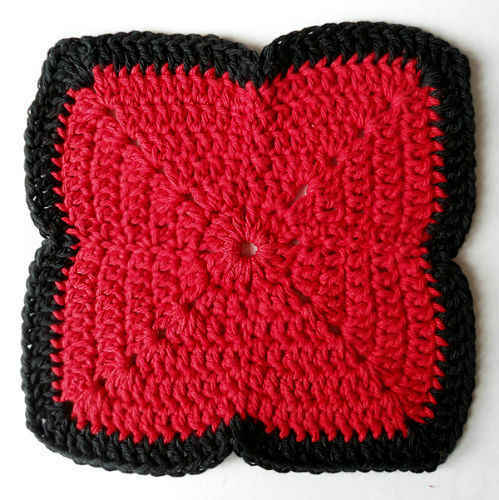 ” Thank you Deborah for joining the Dishcloth-A-Day Challenge! Rnd 6: Ch 3, dc in next 8 dc, (2 dc, ch 1, 2 dc) in next ch-1 sp, dc in next 9 dc, sc in next sc, [dc in next 9 dc, (2 dc, ch 1, 2 dc) in next ch-1 sp, dc in next 9 dc, sc in next sc] around; join as before. (88 dc, 4 sc and 4 ch-1 sps) Finish off and weave in ends. Rnd 1: With right side facing, join Black with sl st to any corner ch-1 sp, ch 3, (dc, ch 1, 2 dc) in same sp, dc in next 11 dc, sc in next sc, dc in next 11 dc, [(2 dc, ch 1, 2 dc) in next ch-1 sp, dc in next 11 dc, sc in next sc, dc in next 11 dc] around; join with sl st to first dc. (104 dc, 4 sc and 4 ch-1 sps) Finish off and weave in ends. this is so pretty. 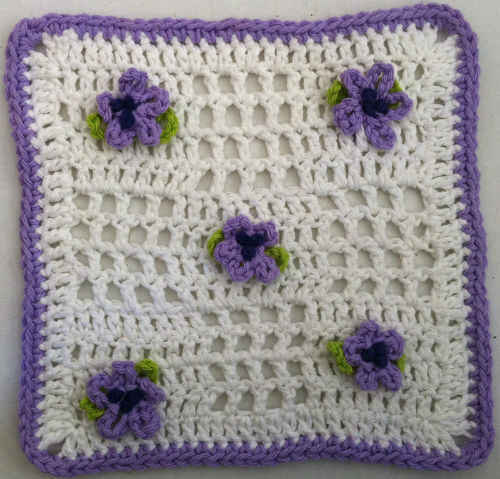 when i first saw it i thought of using it as a afghan square. if i do i will send you a picture!!! thanks for sharing!!!! Very pretty & I love the shape. Thank you for all these lovely patterns. I’d like to see potholders next year??? really wanted to try this when i saw it this morning, but was out of red. i did it in a dark pink varigated, but still did the black edging. it looks really neat. best of the best! will have to check and see if my daughter-in-law will make one like that-she is much better at crochet than i. really love the shape and design. I like how elegant this one looks – very nice!